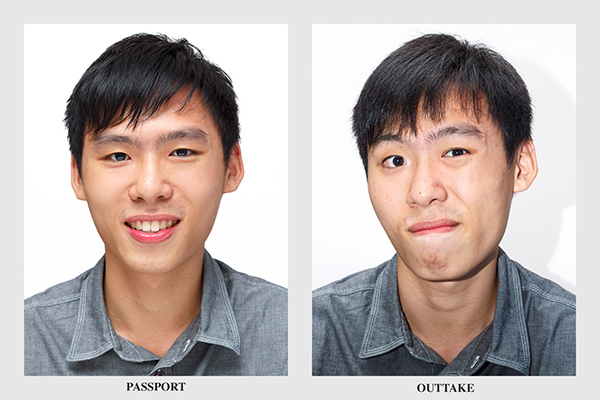 Whenever my family and friends need a new passport photo, they will look for a time when I am "conveniently available" or "free" so that I can take that perfect passport photo for them. 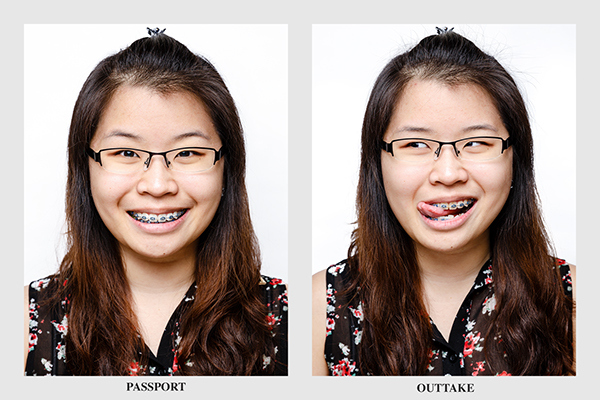 Firstly, I do it at no charge and secondly, they are ensured the best photo, which roughly translates to them not looking like a fool. Yes, I know, this is pure exploitation. 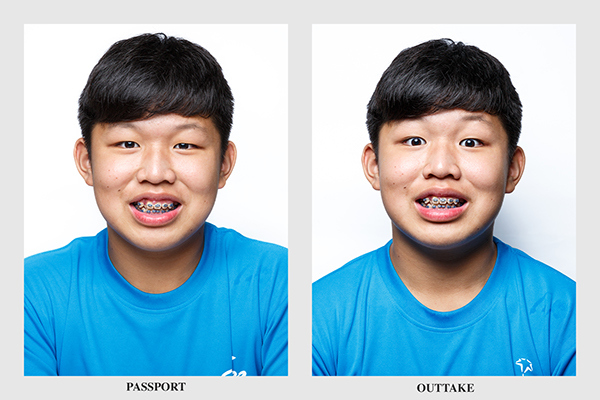 I enjoy helping them take their passport photos. Why wouldn't I? 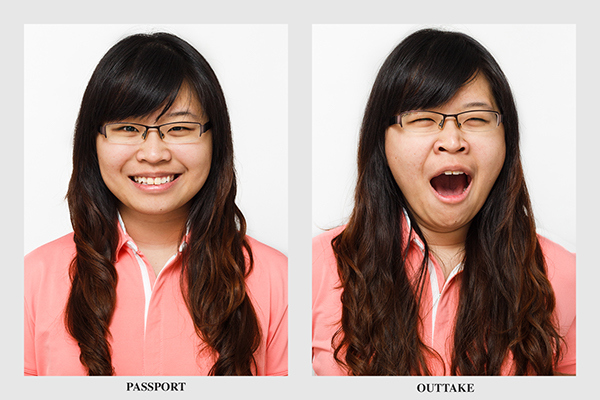 I get so many interesting and funny outtakes from these shoots and I keep these outtakes / funny faces / mid-sneeze, mid-yawns / unglam photos as my trophies. It's only fair, no? 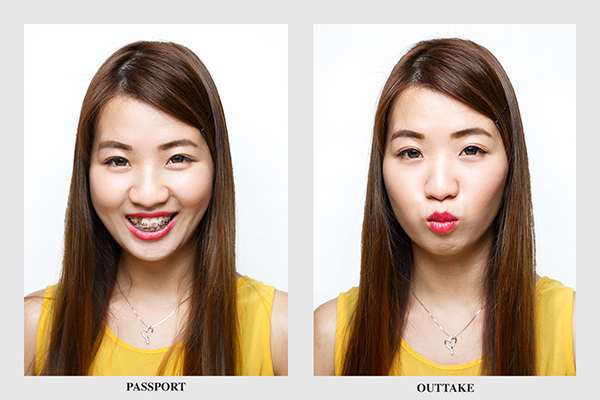 I render them the service in return of the images of their true selves. 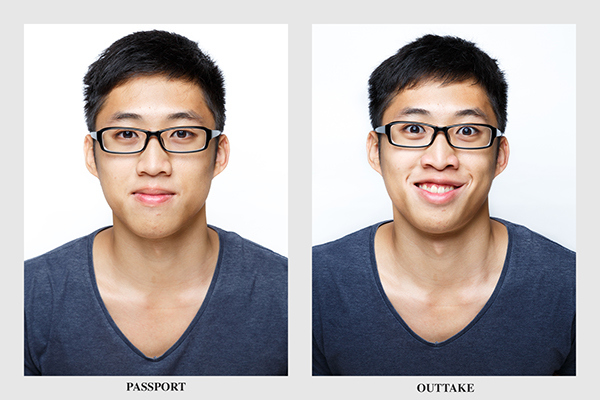 Passport photos are typically used as a formal way to identify an person. 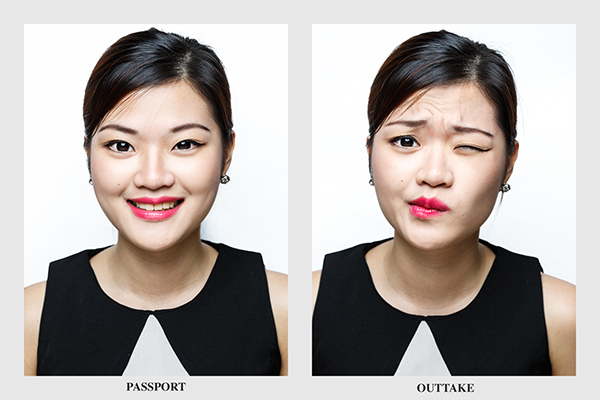 That poker face on the legal documents, other than serving its mundane purpose of identification and verification, is not an accurate representation of the individual. Through these lighthearted portraits made during the shoots for those serious legal photographs, I wish to highlight the living being behind the comformative masks. 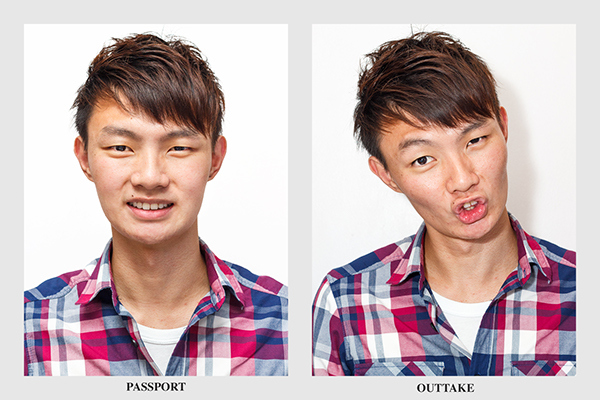 Passport photos are typically used as a formal way to identify an person. 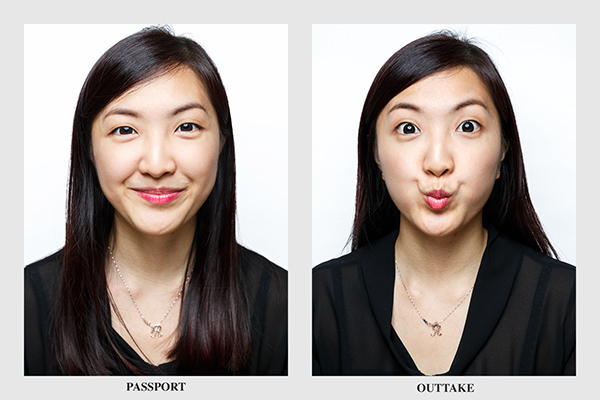 That poker face on the legal documents, other than serving its mundane purpose of identification and verification, is not an accurate representation of the individual. Through these lighthearted portraits made during the shoots for those serious legal photographs, the artist wish to highlight the living being behind the comformative masks.